Women with special needs who are unable to function in society are often defenseless, especially in impoverished countries like Honduras. Casa Misericordia was organized as an extension of Hogar de Niños in order to provide a safe place for these young women. Deep emotional, psychological, and mental illness, as well as deafness and Down Syndrome, bring abuse and disdain from even close family members. But at Casa Misericordia they are able to live without fear. Cared for by a patient Christian staff who willingly give them the extra time and attention they need, they are loved and nurtured. They enjoy working together, doing crafts, and learning skills to better care for themselves and one another. 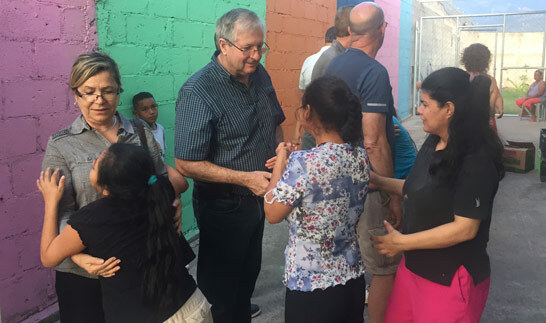 All God’s Children Honduras is a non-profit organization dedicated to raising and distributing funds to several different ministries of compassion within the country of Honduras. Governed by a Board of Directors in the U.S., board members and other supporters volunteer their time, talents, and money to AGC. 100% of all designated funds raised go directly to the causes they are specified for. 100% of all designated funds raised go directly to the causes they are specified for. AGC has the highest rating charity navigator gives out. Click on the image below to find out why. © 2018 Copyright - All God's Children - Honduras Orphanage Charity. AGC, Ltd. does not sell or otherwise disclose user information outside the organization, nor send donor mailings on behalf of other organizations. This policy has no exceptions, this is applicable to both online and offline donors. AGC, Ltd. is not affiliated with All God’s Children International, Incorporated.